Hi! 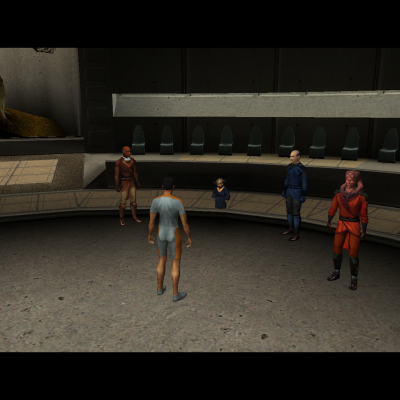 This is my second KotOR2:TSL mod! It's just a simple reskin of Bao-Dur's clothing and arm with more 'darkside' elements. It should be compatible with everything that doesn't change Bao-Dur's appearance. |WARNING!| THIS MOD WAS UPLOADED ONLY TO DEADLYSTREAM AND STEAM WORKSHOP IF YOU SEE IT EVERYWHERE ELSE, PLEASE CONTACT ME! 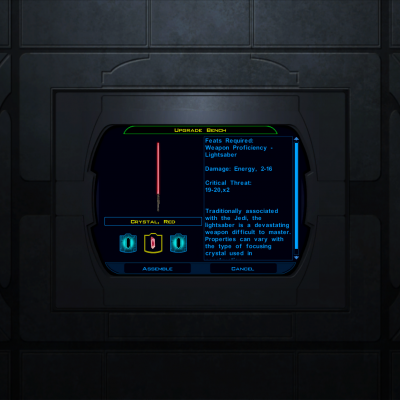 INSTALLATION It's very simple, just place the 'override' folder in your KotOR2:TSL installation path: "C:\Program Files (x86)\Steam\steamapps\common\Knights of the Old Republic II" for STEAM "C:\Program Files (x86)\LucasArts\SWKotOR2" for RETAIL Enjoy! A Mod for Star Wars Knights of The Old Republic Author: N-DReW25 Release Date: 12.09.2016 Installation: Simply Copy and Paste or Drag and Drop ALL the files within the "For Override" into your Star Wars Knights of The Old Republic override folder Uninstallation: Remove or Delete the files from your Star Wars Knights of The Old Republic override folder Description: When searching through the K1 textures I found an unused familiar red lightsaber texture that after playing a bit of TSL I soon realised it was the red lightsaber crystal icon that is used in TSL. So after looking at the red lightsaber crystal K1 uses I soon discovered it was a power crystal icon and not the intended red lightsaber crystal icon so what this mod does is fix/restore the previously unused red lightsaber crystal icon into K1. Note: I also found unused crystal textures in K1 that appear in TSL though those mods will be coming soom Known Bugs: this mod shouldn't have bugs but if their is Just PM me on Deadlystream. 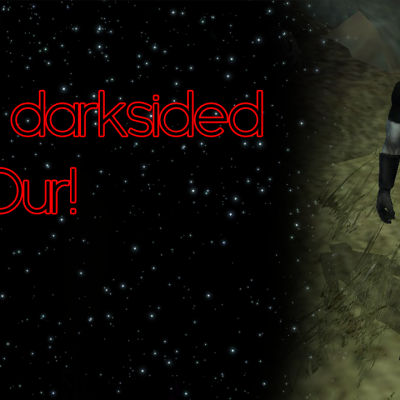 Incompatibilities: Incompatiable with anything that edits "g_w_sbrcrstl18.uti" though I know none that edits that file Permissions: Do NOT claim credit for this mod Thanks: Bioware for such an amazing game,Fred Tetra for Kotor Tool and everyone who downloads the mod. Legal: THIS MODIFICATION IS NOT SUPPORTED BY BIOWARE/OBSIDIAN ENTERTAINMENT, LUCASARTS, DISNEY OR ANY LICENSERS/SPONSORS OF THE MENTIONED COMPANIES. USE OF THIS FILE IS AT YOUR OWN RISK AND THE ABOVE MENTIONED COMPANIES OR THE AUTHOR IS NOT RESPONSIBLE FOR ANY DAMAGE CAUSED TO YOUR COMPUTER FOR THE USAGE OF THIS FILE. I am experiencing a black screen after the red eclipse battle when a cutscene showing visas and Darth Nilius. After the cutscene is done, I get a black screen in which my mouse is moveable but nothing else is displayed on the screen. I read somewhere that lowering the settings would fix it but it hasn't so far. Any ideas?